I have written about snacks and snacking numerous times. You can check out my Page Snacking – the good, the bad and the ugly if you want more details. Herewith The Tufts University Health and Nutrition Letter take on the subject. Make sure you’re properly fueled for a workout, but avoid mindless snacking. If you start exercise low on fuel, you could end up feeling weak and run out of steam. Or, you may simply feel hungry, making it hard to focus on your exercise. However, unnecessary snacking before a workout may make exercise uncomfortable and add calories you don’t need, counteracting the calorie burn of your physical activity. What you’re already eating for meals and snacks likely covers your exercise energy needs. We have just begun football season here, so Sundays in many homes will be characterized by folks in front of flat screens cheering on their favorite team. I plead guilty. Sunday is my favorite day of the week during football season because there are games all day, followed by Sunday Night Football. All this has to do with the fact that while we are watching we are also munching, munching. I make popcorn in coconut oil that is as healthy as it is delicious. I hope you have a similar salubrious solution to game time munchies. 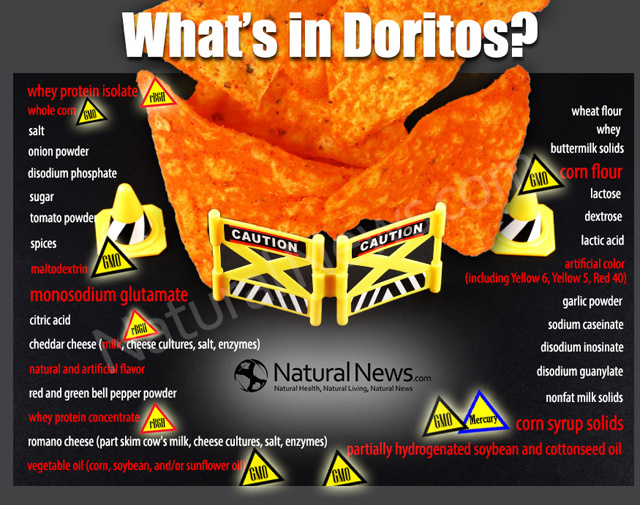 I ran across this infographic on Doritos and wanted you to see it. Doritos is not the answer to your game time craving. 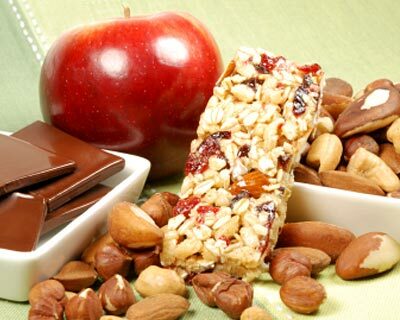 Check out my Page – Snacking – The Good, The Bad and The Ugly for further details on healthy snacks. As a retired guy, I could actually consider this because I have the time. If you are working, I’m not sure it is practical. Anyway, it is another way to go it you are working on controlling your weight. Actually, as a snacker, this appeals to me. Everybody does it. Who doesn’t like to snack? It can make a football game more fun to watch, but it can submarine your best laid weight loss plans. I hope you enjoy this snacking infographic. To read more detail on snacking check out my Page – Snacking – The Good, The Bad and The Ugly. With apologies to Sergio Leone. Regular readers know that I have written lots of posts based on WebMD items. I think their latest one – Food Frauds That Can Wreck Your Diet is one of their best. This is an element in most salads. You really need to watch out for how much salad dressing you add. In my opinion, designer coffee drinks are really diabolical when it comes to watching your weight. I found out years ago that more often than not they set you back instead of helping you out. This is another calorie trap. Popcorn is usually a healthy snack, depending on how you fix it. The microwave way, while very fast, is one of the worst in terms of health. Lots of bad fat and calories. How can anything made from fresh fruit be a calorie bomb? Easy, deep fry it. 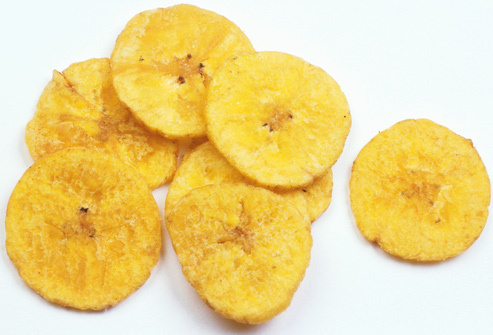 WebMD suggests snacking on a fresh banana for four times the food, no fat and only 100 calories. There are a total of 21 of these examples of what they term food frauds. I have picked out the ones most meaningful to me. Do yourself a favor and go back and click on the link for the full series. They also give suggestions on how to tweak them to make them less unhealthy. As always, it pays you to be alert to serving size and portion control. I grew up snacking and most of the weight problems that I experienced resulted from that. Check out my Page – Snacking – The Good, The Bad and The Ugly for more on this. As regular readers know, I am a big snacker. It was a major problem for me when I was heavy, but no more. After you finish with this wonderful list of better than two dozen low calorie snacks, check out my Page – Snacking – The Good, the Bad and the Ugly (with apologies to Sergio Leone and Clint Eastwood). As an inveterate snacker, I have written a number of posts on healthy snacking. 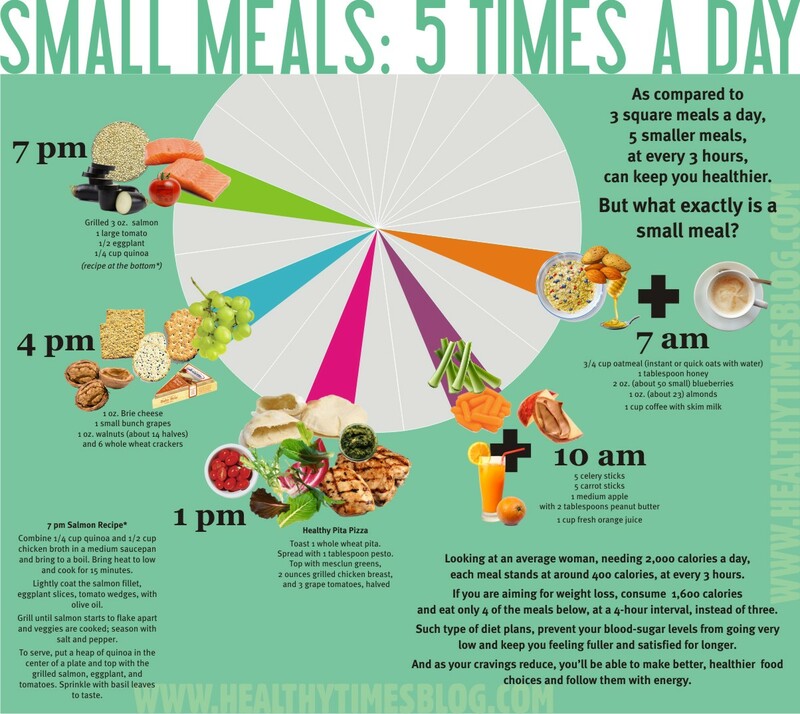 Check out my Page – Snacking – The good, the bad and the ugly for more details. I ran across this infographic on Pinterest and thought you might find the information helpful in your weight control efforts. Remember studies have shown that dieters who grazed on limited calorie snacks every few hours suffered from less hunger pains than the ones who limited themselves to only three meals a day. You don’t have to suffer to lose weight. Be a little thoughtful and you can have your cake and eat it, too … just not too much. These are excellent suggestions. As a big snacker myself, they resonate with me. Here are some of my posts on the subject:Snacking: The Good, the Bad and the Ugly, Healthy Snacking as an Act of Kindness, How About Snacking on Seaweed from Costco? Targeted Snacking, What are Some Super Snacks Under 100 Calories? Harvard Offers 7 Ways to Snack Smarter, How Healthy is Popcorn? How to Find a Healthy Snack. 1. Snack when your hunger is real. When there is too much time between meals, you might need a bite to hold you over. The stomach takes three to four hours to empty, so if your next meal is five hours away, eat a little. If you under-eat or wait too long, watch out for over-snacking. You don’t want a snack to turn into brunch or dinner. 2. Snack when your blood sugar is low. There are some very useful ideas here. I have posted about snacks several times. Check out my Page: Snacking – The Good, the Bad and the Ugly for more. Do you feel hungry all the time? Always searching for another snack? Try adding more protein to your diet! This super satisfying macro-nutrient will help you feel full for hours. Whether you’re fueling up for the day ahead or taking a mid-day snack break to ward off those afternoon munchies, high-protein snacks are the best way to keep you going. Snacks with protein give you longer-lasting energy than carb-heavy options, like humongous bagels and muffins, which leave you ravenous just a short while later. Here are 10 protein-packed (and portable!) snacks that make it easy to stay satisfied. Mixed nuts are a very convenient way to get some protein (and healthy fats). Read up on the best and worst nuts, then try adding dried fruit and seeds for a delicious, homemade trail mix. 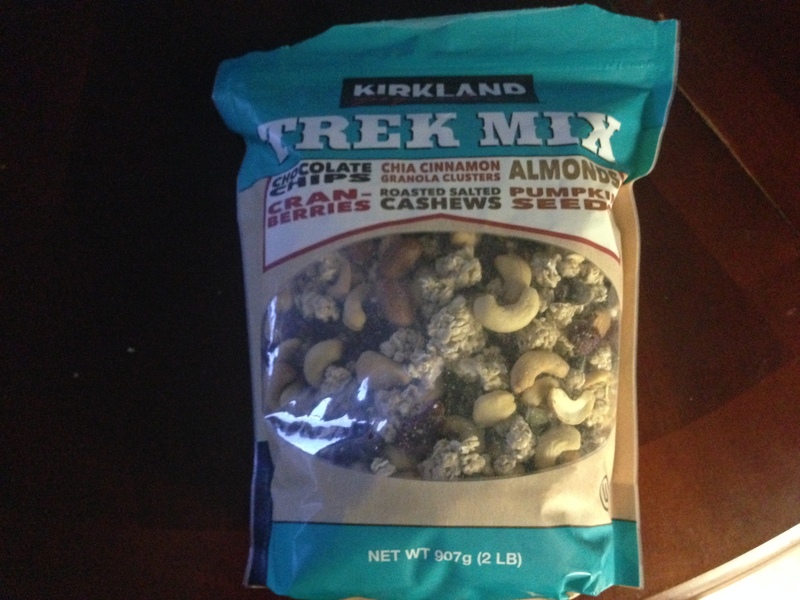 What About the New Costco Trek Mix? I know this comes as no surprise to regular readers, but I have stumbled upon yet another tasty and healthy treat at Costco. This time it is the “Trek Mix.” Like the Clif Mojo Bars I wrote up not long ago, these also boast a sweet and salty taste. I guess that is the new trend – both sweet and salty. I don’t know if that sounds good to you, but my girlfriend and I opened the package and started eating them on the drive home from Costco. They were that good. I can attest to the taste. These are delicious. We had to finally close up the bag for fear of wrecking our appetities before dinner. I was particularly impressed with the meager amount of sodium – only 20 mgs. It seems to me that everything I eat these days has at least 1000 mg of sodium. High salt/sodium intake is a major contributor to cardiovascular disease. The American Heart Association recommends that adults stay under 1500 mg of sodium per day, and never take in more than 2,300 mg a day. As always you are invited to share your experience with these snacks. To read further on the subject of snacks, I invite you to check out my Page – Snacking – The Good, The Bad and The Ugly. How About Some Granola Without any Grains? I agree with Neil about crunchy granola being neat. It has been a part of my diet for more years than I care to remember. I know ‘Granola Without Grains’ sounds like something left over from April Fool’s Day. But it isn’t. That’s why I was so surprised to discover Paleo Granola by CJK Foods of Chicago, IL. So, clearly, grains are an integral part of granola. 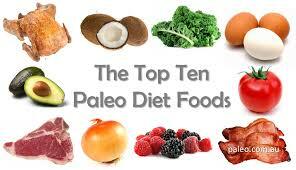 I must confess almost total ignorance of the Paleo diet. I just checked the web and the first thing I learned is that they don’t eat grains. They do eat grass-produced meats, fish/seafood, fresh fruits and veggies, eggs, nuts and seeds and healthful oils, like coconut oil. Lots of good eating there. So, the fact that you don’t eat grains explains why the Paleo Granola has no grains in it. Before going further, I need to tell you that I bought it from my local grocer who had a girl passing out samples. I tried one and was blown away by the taste. A party in my mouth! I went right back and picked up a package. I am now on my third one. Okay, so what is in Paleo Granola? The ingredients are Organic almonds, organic sunflower seeds, almond flour, organic cashews, organic walnuts, maple syrup, organic flax seeds, organic coconut oil, organic raisins, vanilla, organic coconut flakes, spices and salt. A quick comparison with a regular granola, puts Paleo slightly higher on calories, a lot higher on total fat, due to the nuts and coconut, way down on sodium and higher on fiber and protein. Not a bad tradeoff, I think. Although I am a big granola fan and have a bowl almost every day. I have found that I like the taste of this Paleo mixture so much that I use it as a snack and sometimes take chunks of it with me for energy breaks when I ride the bike. While I usually refrain from writing up local products that are not available to readers of an international blog, I did this one because I thought you might enjoy being exposed to the concept of granola sans grains. Also, resourceful readers might even try to make it on their own with a little experimentation. You have all the ingredients. If anyone does try to make their own, I hope you will share your experience with the blog. What are Some Super Snacks Under 100 Calories? One of the secrets of super snacks under 100 calories is portion size. If you control the amount you are snacking on, you can enjoy just about anything. Moderation is key. 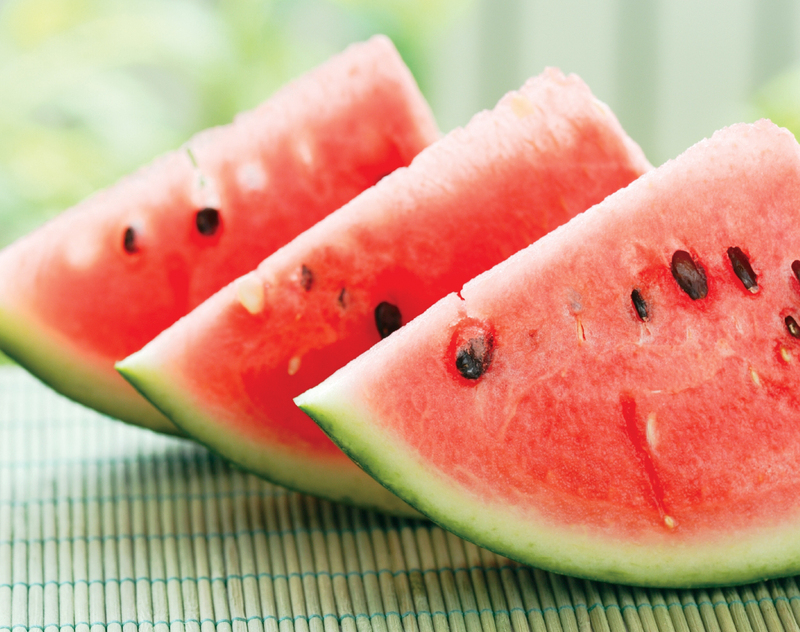 A great example of a super snack under 100 calories is watermelon. This is one of my favorite snacks and I have some almost every day. One serving of watermelon, 5.4 ounces, or one cup, yields 46 calories, no fat or cholesterol, one gram of fiber and also protein. Check out How Healthy is Watermelon for more on this super snack. Personally, I am a big fan of popcorn and often have it evenings watching movies. 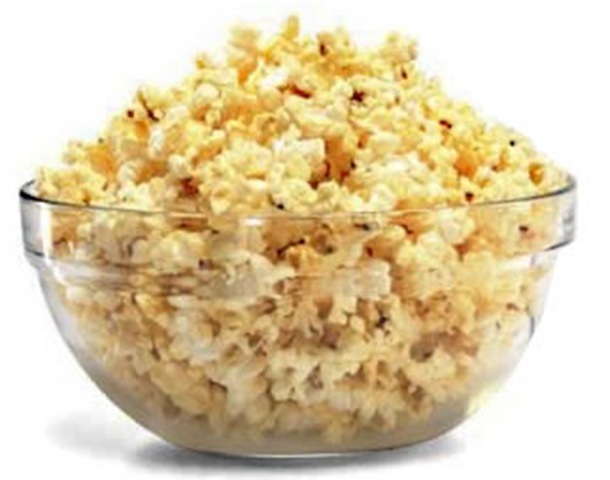 You can have several cups of popcorn popped with coconut oil and remain under 100 calories. Snacking tip: Eat one kernel at a time and consciously enjoy it. Your snack will last longer and you will appreciate it more. I found this out when I had some dental work done last winter. I asked the dentist if I could eat popcorn. He laughed and said I could if I ate one kernel at a time. I have been doing it ever since. Roasted seaweed from Costco is another winner. I wrote about these a year ago February. Roasted seaweed is subtle and delicious. It comes in delicate little sheets. I think it melts in your mouth. Costco sells it in packages of 17 grams. Nutritional breakdown: 100 calories. There are 300 mg of sodium which may be off putting to some. I don’t have a lot of sodium in my diet so I don’t mind. WebMD has a nice collection of snacks under 100 calories that you can explore here. Full disclosure: I am an inveterate snacker, so I have to really police myself in order to maintain my healthy weight. If you want to read further on snacking, check out my Page: Snacking – The Good, The Bad and The Ugly. “I love to snack. I bet you do, too. Yet, some 60 percent of us are overweight including 30 percent who are actually obese. Another 10 percent has Type 2 diabetes, a preventable and ruinous disease that stems from inactivity and poor nutrition. I fear that snacking is the reason for a good deal of those statistics.” Such is the opening paragraph from my Page – Snacking – The Good, The Bad and The Ugly. Check it out for lots more on this important topic. I put it in the blog because it has some excellent suggestions. Regular readers know I am a big fan of nuts, seeds and grains as they are super nutritious. 1. Go for the grain. Whole-grain snacks — such as whole-grain low-salt pretzels or tortilla chips and high-fiber, whole-grain cereals — can give you some energy with staying power. 2. Bring back breakfast. Many breakfast foods can be repurposed as a nutritious snack later in the day. How about a slice of whole-grain toast topped with low-sugar jam? Low-sugar granola also makes a quick snack. I think this has great possibilities. 3. Try a “hi-low” combination. 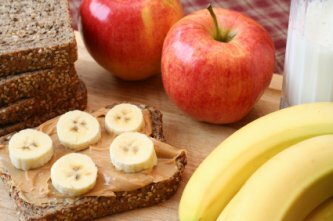 Combine a small amount of something with healthy fat, like peanut butter, with a larger amount of something very light, like apple slices or celery sticks. 4. Go nuts. Unsalted nuts and seeds make great snacks. Almonds, walnuts, peanuts, roasted pumpkin seeds, cashews, hazelnuts, filberts, and other nuts and seeds contain many beneficial nutrients and are more likely to leave you feeling full (unlike chips or pretzels). Nuts have lots of calories, though, so keep portion sizes small. Because nuts and seeds leave you full, they actually can result in your eating less. 5. The combo snack. Try to eat more than one macronutrient (protein, fat, carbohydrate) at each snacking session. For example, have a few nuts (protein and fat) and some grapes (carbohydrates). Try some whole-grain crackers (carbohydrates) with some low-fat cheese (protein and fat). 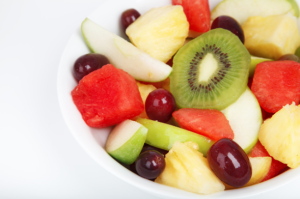 These balanced snacks tend to keep you feeling satisfied. I think that ‘satisfied feeling’ goes a long way toward weight control. 6. Snack mindfully. Don’t eat your snack while doing something else like surfing the Web, watching TV, or working at your desk. Instead, stop what you’re doing for a few minutes and eat your snack like you would a small meal. 7. You can take it with you. Think ahead and carry a small bag of healthful snacks in your pocket or purse so you won’t turn in desperation to the cookies at the coffee counter or the candy bars in the office vending machine. Harvard offered these tips in a marketing flyer on their 6-Week Plan for Healthy Eating. Everybody likes to snack at some time or another. So, how healthy is that perennial snack – popcorn? As a kid growing up in the 1950’s I fell in love with the taste of popcorn at the movies and that’s the way I eat it now – nearly every night. “It’s hard to believe a snack food that tastes so good can actually be good for you! With suggestions from organizations such as the National Cancer Institute (NCI), the American Dental Association (ADA) and the Academy of Nutrition and Dietetics (A.N.D. ), there’s no doubt popcorn is a perfectly sensible snack to fit into any meal/fitness plan. • Air-popped popcorn has only 31 calories per cup; oil-popped popcorn has only 55 calories per cup. • When lightly buttered, popcorn contains about 133 calories per cup. • Popcorn is a whole grain, making it a good-for-you food. • Popcorn contains fiber, providing roughage the body needs in the daily diet. • Popcorn is naturally low in fat and calories. • Popcorn has no artificial additives or preservatives, and is sugar-free. • Popcorn is ideal for between meal snacking since it satisfies and doesn’t spoil the appetite. • 3 cups of popcorn equal one serving from the grain group. ScienceDaily reported Joe Vinson, Ph.D., a pioneer in analyzing healthful components in chocolate, nuts and other common foods, explained that the healthful antioxidant substances called polyphenols are more concentrated in popcorn, which averages only about 4 percent water, while polyphenols are diluted in the 90 percent water that makes up many fruits and vegetables.